Yesterday we got the privilege to go see the The World Famous Lipizzaner Stallions in Ontario. 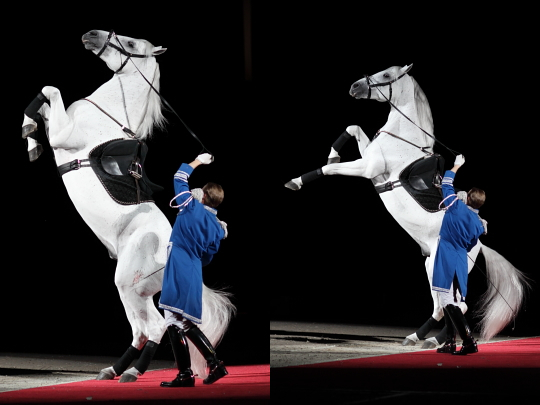 I have been a fan of the Lipizzaners for a long time but had never seen them perform in real life. 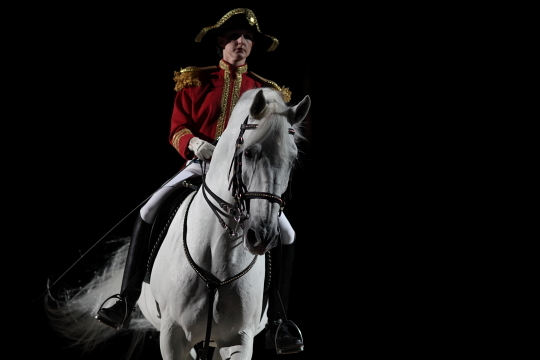 Lipizzaners have a very rich history which includes almost being wiped out during bombing raids in World War II. For more on the history of the Lipizzanners check out this page. 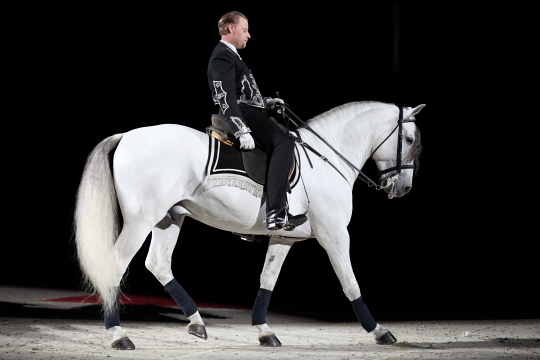 These horses are highly trained in dressage and also more difficult dressage moves called “airs above the ground” which the Lipizzan breed is famous for. 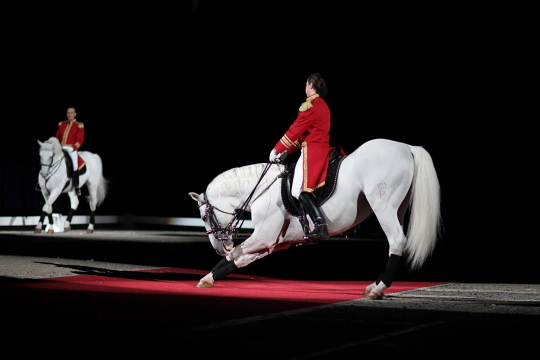 During the show we got to see these stallions do many different dressage styles including performing solo and as groups of three, four and even eight in a synchronized ballet. 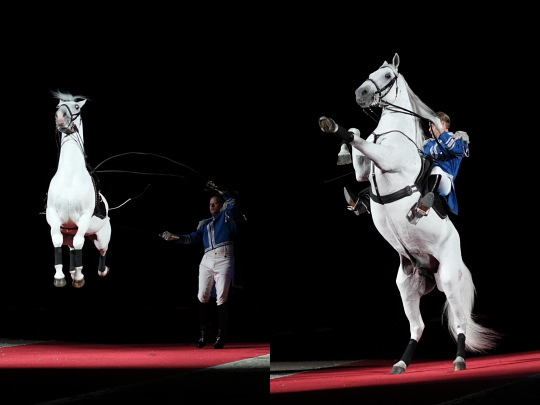 The most exciting part of the show was when the stallions performed their “airs”. Each stallion was only trained in one or two “airs” which the announcer explained came very naturally to these horses who were only trained to perfect their natural talents. The “airs” that we saw included the levade, courbette, capriole, and the mezair. 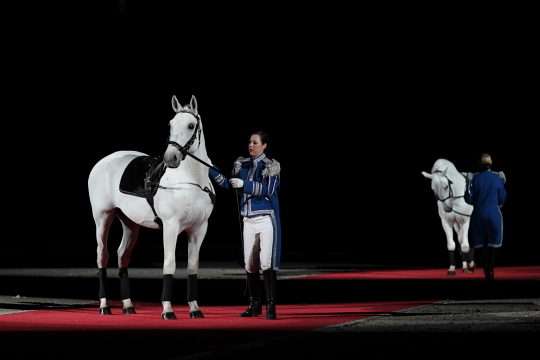 They also brought out a Andalusian stallion and did a dressage performance set to Spanish music to pay homage to the heritage of the Lipizzaner. 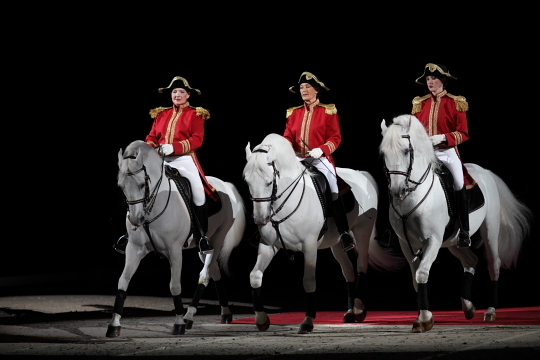 One of the many interesting facts that we learned at the show was that while many of the stallions were bred in Austria a few were rescued from a Lipizzan farm in America. We loved seeing these horses in action and you could tell that these stallions loved to show off.